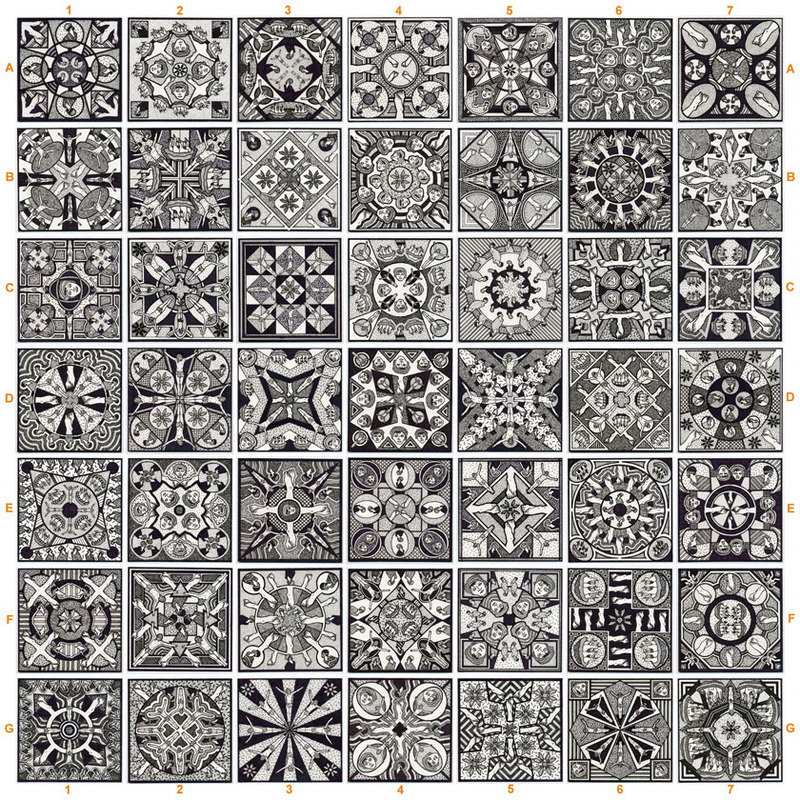 42 is a series of drawings arranged in a 7x7 grid. The drawings have been individually scanned allowing them to be placed anywhere on the grid. Prints may be ordered and each print will be individually arranged so that no two prints will be exactly alike. You're also free to choose your favorites from the set to form a 2x2, 3x3, 4x4 or 5x5 print, again individually arranged so that no two prints will be alike. A site in itself, a little interactive and kind of fun, especially if you like patterns and numbers. HOWEVER it is a "flash" site so it doesn't work on mobile platforms like smartphones and tablets. If you're on mobile please come back when you're in front of a desktop or laptop. And if you're in front of a desktop or using a laptop click on the image below to continue.